Macaron Bar brings something completely new and unique to not just a neighborhood or city, but the Midwest. This is the story of the men behind it, a bold idea and how they're giving back. - Madagascar Vanilla, Dark Chocolate, Raspberry and Salted Caramel macarons. It’s 10:00 A.M. on a Wednesday morning in Cincinnati’s Over-The-Rhine neighborhood when I step into the Macaron Bar. A new employee, their eleventh, is being trained while two more work diligently in the back. It’s not the first time I’ve been here, but it is the first time I’ve formally met one of the owners, Patrick Moloughney, as he offers me a cup of coffee. We take a seat near the entrance in one of the alcoves providing a view of the surrounding neighborhood. Looking both ways down Main St. you can see numerous other businesses that have helped spur the often covered “OTR Renaissance” of which Macaron Bar is the latest to join. The first time I heard about Macarons, I had no idea what they were. Like most people would do, I “googled” them. 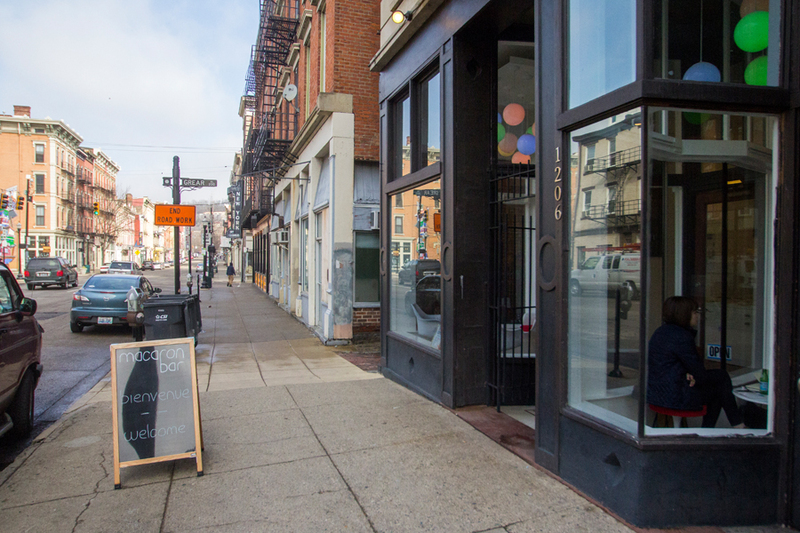 - Macaron Bar's storefront at 1206 Main St. in Cincinnati, Ohio. Wikipedia described the desserts as “small, circular cakes” that were “made from ground coconut.” I was worried, because I absolutely hate the taste of coconut. My girlfriend Laura had brought up Macarons. 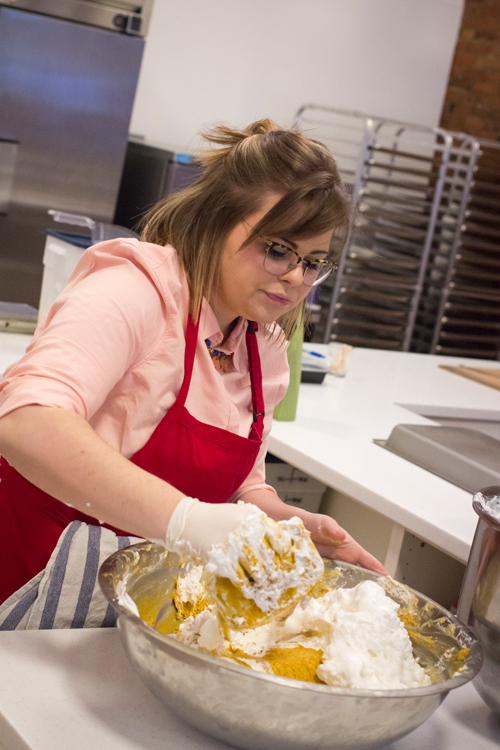 She had first tried the pastry while traveling to Paris and was ecstatic about Cincy’s new offering. Thankfully, she clarified to me that the coconut infused Macaroons are of an American variety, while the traditional French Macarons (note the single “o”) lack coconut. The European pastry dates back to late 19th century Paris. 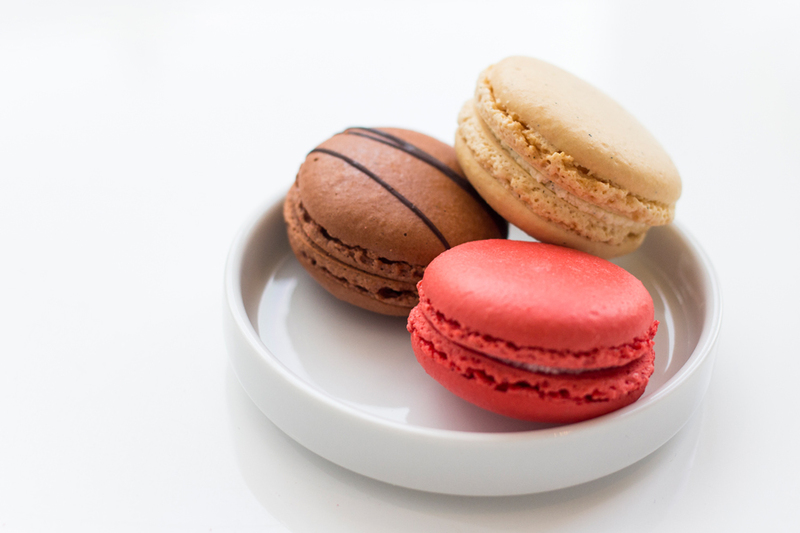 A Macaron consists of two almond based cookies and a flavored ganache filling in the center. They take a special skill to create and have seen a popular growth in cities like New York, Washington D.C., San Francisco and Los Angeles. After our first visit, I was hooked on the flavors of Dark Chocolate, Salted Caramel and Raspberry. We’ve gone back several times since and this Saturday we’re even taking one of their classes. - Dark Chocolate, Raspberry and Madagascar Vanilla macarons. 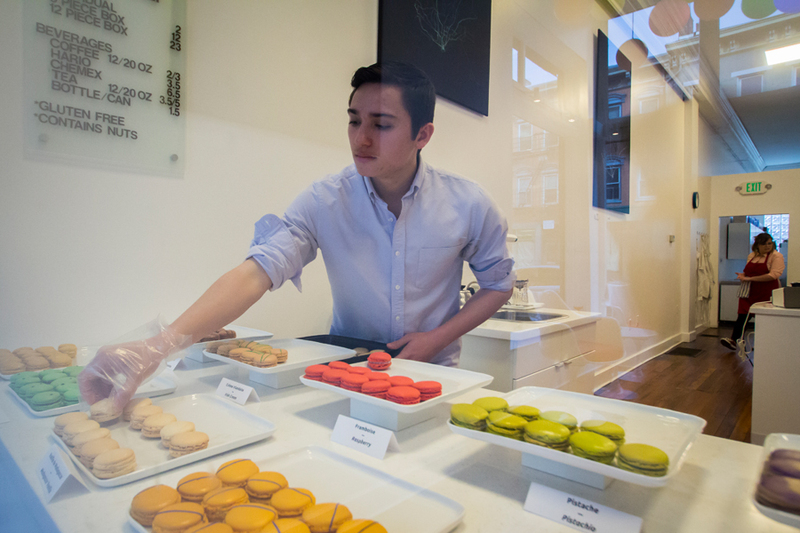 The idea for the Macaron Bar came from Patrick Moloughney and his husband Nathan Sivitz. Patrick made his way from New Jersey to Cincinnati via Washington D.C. A graduate of George Washington and Georgetown Universities, he arrived around the time of the 2001 riots in OTR. In 2009 he met Nathan while they were chaperoning a Gay, Lesbian & Straight Education Network (GLSEN) sponsored homecoming dance for high school youth. They discovered Macarons during one of their vacations to Europe. They married in California in November 2013. 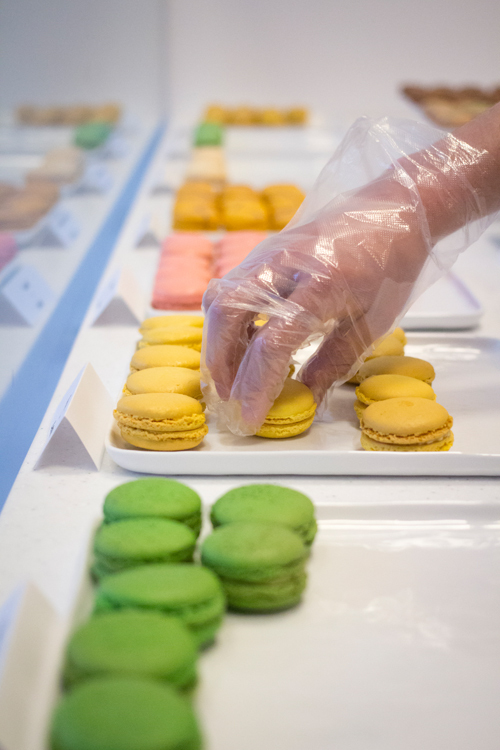 After eleven years, Patrick took a voluntary separation package from the world of corporate marketing in order to “do his own thing.” Nathan, a pastry chef by trade, pursued the art of Macarons by studying at the renown Ecole Lenôtre outside of Paris. Meanwhile, Patrick drew up a business plan. 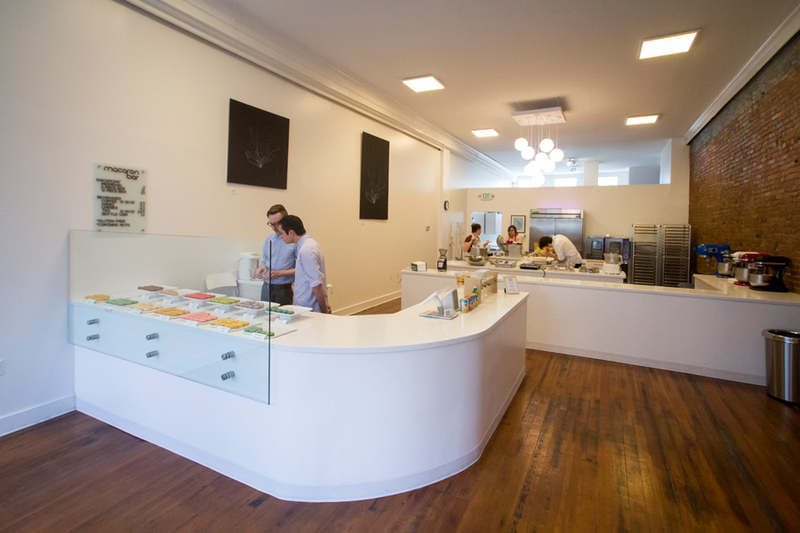 By December 2014, the Macaron Bar opened its doors. The two had hoped to sell 15,000 Macarons in their first three months. 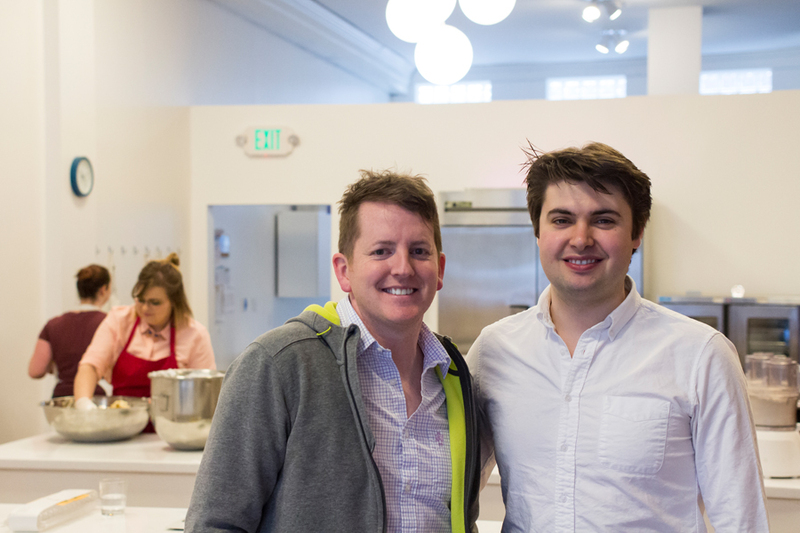 - Patrick Moloughney (left) and Nathan Sivitz (right), owners of Macaron Bar. Macaron Bar wasn’t the first establishment in the Queen City to offer the dessert, but it’s the first and currently only place that specializes in the pastry. On a typical day, 13-15 distinct flavors are for sale along with coffee and tea. The space is modern with a sleek white countertops. Music plays in the background and customers can see right into the baking and preparation area. Local art adorns the walls as the shop recently joined other local businesses participating in the neighborhood’s “Final Friday” event. 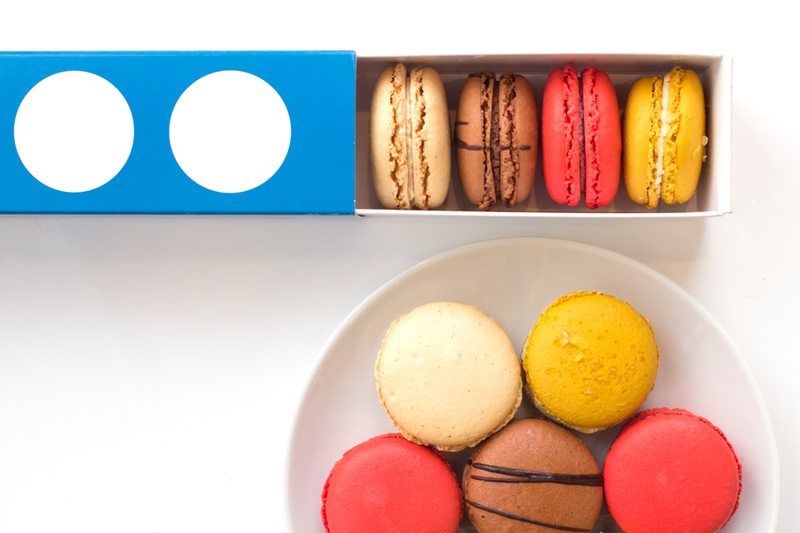 The bright colors of the macarons and their packaging, designed by University of Cincinnati DAAP graduate Kyle Oldfield, pop out amongst the minimalist surroundings. The staff is friendly and the Macarons are delicious. 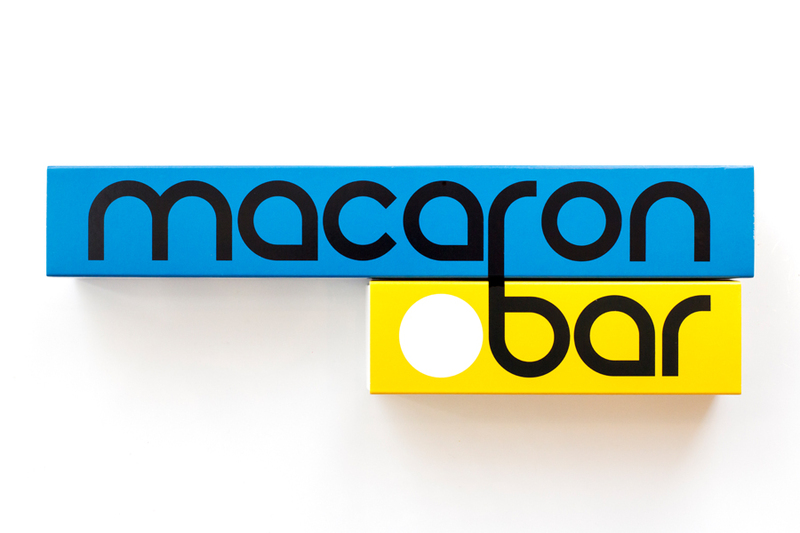 - Macaron Bar packaging designed by Kyle Oldfield. As someone who has covered numerous eateries and businesses for publications like City Beat and the Cincinnati Business Courier, I’ve had the chance to see a lot of the region’s offerings. Macaron Bar is something completely different though and not just in what it serves. - A Macaron Bar employee preparing ganache. There’s the often quoted (and yet never truly verified) saying allegedly by Mark Twain: “When the end of the world comes, I wan’t to be in Cincinnati because it’s always 10 years behind the times.” Macaron Bar joins Cincinnati with cities like New York, D.C. and San Francisco. Instead of picking up on it a decade from now, Cincinnati is catching the first wave of a new trend. More importantly though, Macaron Bar isn’t about a city being trendy. It’s an honest to good place, a strong local business and a venue for good conversation, good coffee and exotic (in a Midwestern sense) desserts. The people behind it are committed to the neighborhood and city in general, while offering something refreshing. 3-5% of all their revenue is donated to non-profits geared towards social justice in Cincinnati (essentially 10 cents of every macaron). GLSEN, Community Shares and the Freestore Foodbank are the three core non-profits they work with. - A Macaron Bar employee laying out the day's offerings. 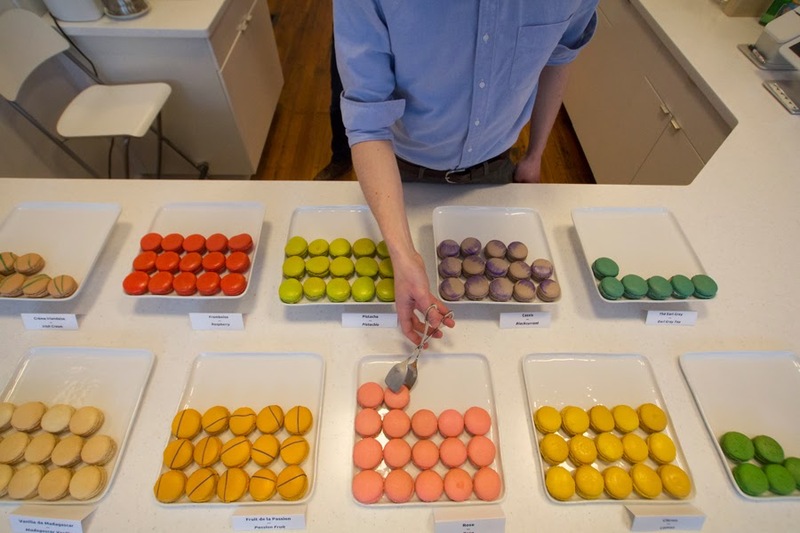 Macaron Bar is proof that Cincinnati is capable of being on the cutting edge, of embracing new trends, and being bold while at the same time giving back back to the community. It complements a thriving culture in a city with a revitalized identity. When the end of the world comes, we may still be ten years behind the times, but at least we’ll have damn good macarons to enjoy as we wait for the apocalypse. Special thanks to Patrick and Nathan for letting me stop by for an interview and some photographs. And to Laura for introducing me to Macarons! Macaron Bar is located at 1206 Main St. in Cincinnati, Ohio. Years later and Macaron Bar is still going strong, can't recommend it enough.